Where is the monument to honor the man who provided the vision and impetus for establishing US Army special warfare? More than 52 years after his death, visitors to Smoke Bomb Hill still find no evidence of his place in special operations history. In fact, most SOF soldiers are unfamiliar with his name. 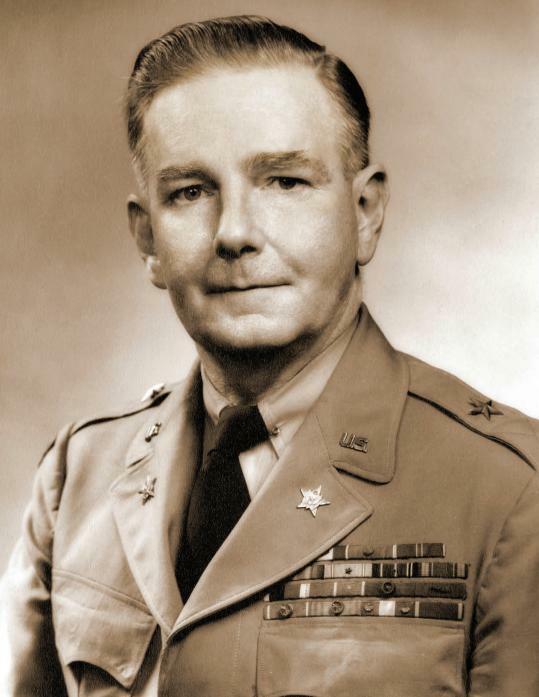 Major General Robert Alexis McClure is the forgotten father of Army special warfare. McClure was born March 4, 1897, in Mattoon, Illinois. After graduating from Kentucky Military Institute in 1915, he served with the Philippine Constabulary as a second lieutenant. On August 9, 1917, he earned a Regular Army commission and was promoted to first lieutenant. From then until the eve of World War II, he served in a variety of infantry and service-school assignments in China and the United States. During the interwar years, McClure, like other career officers, found promotion excruciatingly slow: he served in the rank of captain for seventeen years. By 1941, however, he was a lieutenant colonel with orders to London, England, where he was to serve as an assistant military attaché. In swift succession, he earned promotions to colonel and brigadier general, and he became the military attaché to the American Embassy in London. As an additional duty, he served as military attaché to nine European governments in exile. 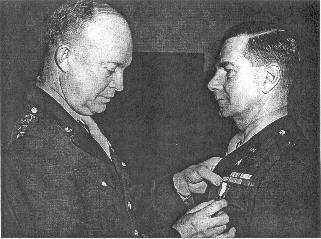 In September 1942, General Dwight D. Eisenhower appointed McClure to his Allied Forces headquarters as chief of intelligence for the European theater of operations. During the next three months, McClure's career took a new direction --- one that would immerse McClure in a new and different field for most of the rest of his life. In December 1942, from "somewhere in Africa," McClure wrote his wife, Marjorie: "My new job--for which I was called by Ike -- very hurriedly -- is a continual headache -- I have what I call the INC Section -- I am just creating it." In preparation for the North Africa landings, Eisenhower had put McClure in charge of the Information and Censorship Section, or INC, of the Allied Forces headquarters. It was McClures job to consolidate several functions for which most Army officers had little preparation: public relations, censorship, and psychological warfare. As McClure colorfully stated, the job also carried with it a "slop over into civil affairs." "We operate 12 high powered radio stations6 of them are stronger than WLW in Cincinnati. My Psychological Warfare staff -- radio, leaflet, signals, front line, occupation, domestic propaganda personnel, exceed 700. In censorship -- troop, mail, and cables, civilian mail, radio, press, cables, telephone for all of North & West Africa, Sicily, etc., over 400 personnel & supervising 700 French. Public relations -- press and correspondents -- 150 correspondents -- 250 personnel --a total 'command, of 1500 in an organization never contemplated in the Army." By the end of the North African and Sicilian campaigns, McClure believed that psychological warfare had become, for him, the "big job," and he felt good about its contribution: "Our propaganda did a lot to break the Wops --- as their emissaries admit --- now we have to turn it on the Germans," he wrote to Marjory. But the "big job" was to become even bigger. In early 1944 General Eisenhower authorized establishment of the Psychological Warfare Division of the Supreme Headquarters, Allied Expeditionary Force or PWD/SHAEF, to support the European campaign against Nazi Germany. McClure, as its director, controlled and coordinated psychological warfare in continental Europe. For years afterward, he emphasized that PWD was built upon the trial-and-error experience of' his ordeal in starting up and running INC in North Africa --- in particular, the Psychological Warfare Branch. In North Africa and in Europe McClures definition of psychological warfare was quite concise, yet inclusive, by todays standards: "The dissemination of propaganda designed to undermine the enemy's will to resist, demoralize his forces and sustain the morale of our supporters." In Europe, PWD made radio broadcasts from OWI transmitters and over the British Broadcasting Corporation; conducted loudspeaker broadcasts on the front lines; and conducted large-scale leaflet operations using specially designated aircraft squadrons. PWD even provided leaflets to be dispersed by the then novel method of specially designed artillery shells. McClure had four deputies, each representing a civilian agency that contributed personnel to PWD: OWI, OSS, PWE, and the British Ministry of Information. By the end of the war in Europe, PWD controlled the activities of over 2,300 military personnel and civilian personnel from two countries. As he had in the North African and Italian campaigns, McClure demonstrated his ability to manage personnel of quite different backgrounds and temperaments. It was one of his most successful leadership traits. "The shooting war is over, here! Signed yesterday. Paris is wild with excitement...with one phase over I am now up to my neck on the control phase. We will rigidly control all newspapers, films theatre, radio music, etc., in Germany! My division now publishes 8 newspapers in Germany, with 1,000,000 circulation and sends 2 million plus language papers each day by air for displaced persons and POWs. Biggest newspaper enterprise in the world." Essentially, McClure's Psychological Warfare Division changed names, becoming the Information Control Division or ICD. ICD took on a new role as a key player in the reorientation and de-Nazification of Germany. The change was hot totally abrupt --- during the combat phase PWD worked closely in support of civil affairs with its "consolidation propaganda," the purpose of which was both to gain the cooperation of the German population in restoring essential services, and to create a public opinion favorable to post-war Allied aims. ICD thus became an integral part of the U.S. military government (or Civil Affairs) effort in the U.S. portion of occupied Germany. McClure reported to General Lucius D. Clay, the U.S. military governor. "We now control 37 newspapers, 6 radio stations, 314 theatres, 642 movies, 101 magazines, 237 book publishers, 7,384 book dealers and printers, and conduct about 15 public opinion surveys a month, as well as publish one newspaper with 1,500,000 circulation, 3 magazines, run the Associated Press of Germany (DANA), and operate 20 library centers ... The job is tremendous." There was, however, another aspect of McClures activities during the postwar period that would bear importantly on the future of Army special warfare. After the massive demobilization of U.S. military forces in 1945-46, American concerns about the Soviet Unions intentions grew in intensity, ushering in the Cold War. For four years, McClure engaged in a dialogue with a number of high-ranking officers and civilian officials in an effort to rebuild the military psychological warfare capability that had essentially been dissipated in the general demobilization. In a letter to the War Department in early 1946, McClure advocated the integration of material on psychological warfare into service school curricula, stating, "The ignorance, among military personnel, about psychological warfare, even now, is astounding." In June 1947, McClure sent s memo to his old boss from World War II --- now Army Chief of Staff Dwight Eisenhower --- urging, Psychological warfare must become a part of every future war plan." In November of that year, McClure gave Eisenhower a list of former PWD/SHAEF staff members that he recommended for forming a psychological warfare reserve. McClure continued his correspondence, consultations, and exhortations with the War Department continued, but it was not until the North Korean invasion of South Korea in June 1950 that his efforts bore fruit. Shortly after this shocking event, Major General Charles Bolte, the Army Staff G3, requested that McClure report to Washington for a few days to help him to determine, with respect to psychological warfare, "the further organizational steps necessary to meet the operational requirements of the Korean situation or of a general war." The latter contingency was key: Even during the Far East crisis, the Army believed that the greater threat lay in an potential invasion of Western Europe by the Soviet Union, and it wanted to create an unconventional warfare capability primarily for the conduct of guerilla warfare in Europe in the event of a Soviet invasion. Bolte added, "I know of no one better qualified to assist us in that respect." For McClure, "a few days," became the formative years of Army special warfare. On the basis of McClure's recommendations, the Army first established a psychological warfare division in the G3, with McClure as its first chief, and then made it a special staff office reporting directly to the Army Chief of Staff. Because of his association with the Office of Strategic Services (OSS) during World War II, McClure appreciated the potential of unconventional warfare, and he lobbied for, and received staff proponency for UW as well. On January 15, 1951, the Army formally recognized the Office of the Chief of Psychological Warfare or OCPW -- the first organization of its type in Army history. Although McClure's new office started out with a staff of only five men,that number grew to more than 100. OCPW's mission was to "formulate and develop psychological warfare and special operations plans for the Army in consonance with established policy and to recommend policies for and supervise the execution of Department of the Army programs in these fields." McClure organized his office into three divisions: Psychological Warfare, Requirements, and Special Operations. The latter was particularly significant, because it formulated plans for creation of the US Army's first formal unconventional warfare capability: Special Forces. Realizing that his firsthand experience was basically in psychological warfare and Civil Affairs, McClure told his staff early on that he was "fighting for officers with background and experiences in special operations." He brought into the Special Operations Division several officers who had World War II or Korean War experience either in guerilla warfare or in long range penetration units. Two officers who played particularly key roles in developing plans for the creation of Special Forces were Colonel Aaron Bank and Lieutenant Colonel Russell Volckmann. Bank had fought with the French Maquis as a member of the OSS. Volckmann had organized and conducted guerilla warfare operations in the Philippines during World War II; during the Korean War, he had planned and directed behind-the-lines operations in North Korea. Volckmann later remembered that McClure had approached him in Walter Reed Hospital (where Volckmann had been evacuated from Korea) with a request to help organize the Special Operations Division. It was only after being assured that the Army was interested in organized behind-the-lines operations that Volckmann agreed to take the job. Bank later gave Volckmann considerable credit for the "development of position, planning, and policy papers that helped sell the establishment of Special Forces units in the active Army." McClure assumed a leading role in "selling" the need for an unconventional warfare capability to the senior leadership. In the face of fierce resistance, not only within the Army, but also from the CIA, Special Forces became a reality largely through the persistence of McClure and through the efforts of Bank and Volckmann. With personnel spaces available from disbanding the Ranger companies in Korea, the Army chief of staff approved the activation of Special Forces in early 1952. Creating an unconventional warfare capability was not the only challenge on OCPWs plate. When the Korean War broke out in June 1950, the Tactical Information Detachment at Fort Riley, Kansas, was the only operational psychological warfare troop unit in the Army. After its deployment to Korea, the detachment became the 1st Loudspeaker and Leaflet, or L&L, Company and it served as the 8th Armys tactical propaganda unit throughout the conflict. 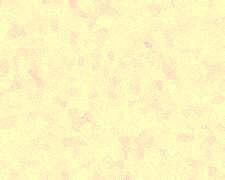 By April 1951, McClure had requested the activation of the 1st Radio Broadcasting and Leaflet, or RB&L, Group to assist the Far East Command, or FECOM, in conducting strategic propaganda; the 2nd L&L Company at Fort Riley, Kansas, a prototype unit; the 5th L&L Company at Fort Riley, scheduled to be sent to FECOM; and the 301st(Reserve) RB&L Group, to be trained at Fort Riley, and then shipped to Europe. Thus, while he was in the process of staffing his own unprecedented office --- OCPW --- McClure moved quickly to assist FECOM in its organization and conduct of both psychological warfare and unconventional warfare, while he concurrently helped the European Command prepare for the employment of both capabilities in the event of war with the Soviet Union. One other part of McClures vision remained to be accomplished --- centralizing the functions of what he called "the whole field of OCPW." Psychological warfare possessed a formal lineage and a tradition in the Army, which unconventional warfare did not, and McClure believed that the two capabilities should be combined under a single headquarters. To conduct individual training and supervise unit training in Psychological Warfare and Special Forces Operation; to develop and test Psychological Warfare and Special Forces doctrine, procedures, tactics, and techniques; to test and evaluate equipment employed in Psychological warfare and Special Forces Operations. As it was originally established , the Psychological Warfare School, the 6th RB&L Group, a psychological warfare board (to test materiel, doctrine, techniques and tactics for psychological warfare and for Special Forces), and the 10th Special Forces Group. Colonel Charles Karlstad, former chief of staff of the Infantry Center at Fort Benning, GA, was the first to serve as commander of the Center and Commandant of the Psychological Warfare School. The Psychological Warfare Schools organization reflected the Centers mission. It consisted of a headquarters staff and two instructional divisions  one for psychological warfare and the other for Special Forces. Initially the 6th RB&L Group was the largest unit in the Centers force structure. Formed at Fort Riley and then shipped to Fort Bragg in June 1952, the 6th consisted of a headquarters company, the 7th Reproduction Company, the 8th Mobile radio Broadcasting Company and the 2nd Leaflet and Loudspeaker Company. In May 1953, OCPW activated the 12th Consolidation Company under the 6th RB&L Group. The organizational concept of the 6th RB&L Group, the forerunner of todays psychological operations group, was first employed in Korea. The ancestry of the mobile radio company, however, can be traced to McClures PWD/SHAEF, which used several such companies to support front-line combat forces in Europe during World War II. McClure selected bank from the OCPW staff to command the 10th Special Forces Group. Banks "command" in June 1952 consisted of seven enlisted men and one warrant officer --- a rather inauspicious beginning. However, by April 1953, with the aid of vigorous OCPW recruiting efforts throughout the Army, the 10th had increased to 1,700 officers and enlisted men. Essentially, the 10th Special Forces Group represented a pool of trained manpower from which units or combinations of units could be drawn to execute specific unconventional warfare missions. At the heart of the groups organization was the operational detachment, or "team", established along the same lines as the OSS operational group. Commanded by a captain, the team, with a first lieutenant executive officer and 13 NCOs, was capable of infiltrating behind enemy lines to organize, train and direct friendly resistance forces in guerilla warfare. Early training focused on the individual skills of the various members of the team; operations and intelligence, light and heavy weapons, demolitions, radio communications, and medical. Each man trained thoroughly in his particular specialty, then participated in cross-training to learn the rudiments of the other skills. By early 1953, most of McClures major programs had been launched; nevertheless, he was surprised to learn that he was being assigned to Iran as chief of the U.S. Military Mission. The rationale was that he had been in a specialized activity too long. The Army Chief of Staff, General Collins, implied that McClures chance for promotion would be enhanced by the new assignment. In Iran, McClure formed close associations with the Shah and the Iranian senior military. As Collins had predicted, McClure was promoted to major general. In 1956, McClure retired from the Army, ending more than 39 years of continuous active service. While driving cross-country with Marjory to San Clemente, CA where they planned to build there dream home, McClure became seriously ill. He died of a heart attack at Fort Huachuca, AZ on January 1, 1957, two months prior to his 60th birthday. Robert A. McClure's position as the founder of Army special warfare seems indisputable. Over a critical period of 10 years, he made vital contributions to psychological warfare, to Civil Affairs, and to the creation of Army Special Forces. But his most important legacy may have been the establishment of the Psychological Warfare Center. From its humble beginning, that institution grew, becoming the Special Warfare Center in 1956 and later evolving into the U.S. Army Special Warfare Center and School. Yet despite the fact that McClure made all these things possible, his role has gone largely unrecognized. Robert A. McClure remains the forgotten father of U.S. Army Special Warfare. Author's note: I first read about Major General Robert A. McClure during the 1970s, while I was conducting research in the National Archives for my Ph.D. dissertation on the origins of the Army's special warfare capability. Having served several tours with Special Forces during the 1960s without ever reading or hearing about him. I was amazed to discover the central role that McClure played in the creation of a permanent psychological and unconventional warfare capability. This article is drawn from that dissertation in history at Duke University; from my subsequent book, U.S. Army Special Warfare: Its Origins (National Defense University Press, 1982); and from my more recent research in General McClure's personal papers. I am indebted to Colonel Robert D. McClure, U.S. Air Force (Ret.) and his wife Betty Ann, for giving me complete access to General McClure's papers.